LinkedIn is the biggest social network for professionals across the world. Tens of thousands of young people join every month, enhancing their online profiles, sharing their thoughts, and connecting with like-minded professionals who may be able to give them a career boost. LinkedIn now has more than 500 million users registered worldwide. If you join now, especially at a youthful age, you will be giving yourself the best chance to further your career faster. It’s a great introduction to the working world. 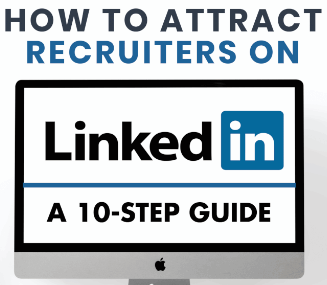 Due to the massive amount of prospective employees that are active on the platform, recruiters – individuals who work on behalf of companies to scout the best employees – are another big part of Linkedin. Like millions before you, if you’ve joined Linkedin to help start your career and find yourself the perfect role, then impressing a curious recruiter is highly valuable to any professional. These recruiters are frequently searching for the best young talent and you’ll need to stand out from the crowd if you want to make an impression. While you’re at it, connect with us on LinkedIn! Looking to stand out in the crowd? Check out our resume boosting online courses, projects, and interactive community – Career Pathways Academy!